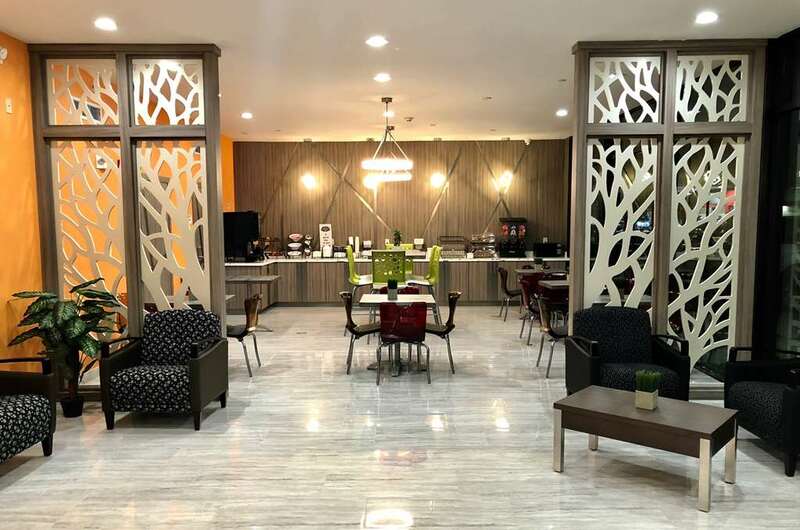 Conveniently located on I-45, Baymont Inn & Suites Houston Hobby Airport gives you easy access to downtown Houston and top city attractions. Our free airport shuttle brings you to and from William P. Hobby Airport, and you can also take a short drive to George Bush Intercontinental Airport. Whether you are traveling for business, a weekend getaway, or family trip, our hotel puts you close to Space Center Houston, Museum of Fine Arts, Houston, and Downtown Aquarium, Houston.